Earlier, Reliance Jio had complained to the Advertising Standards Council of India (ASCI) against Airtel’s advertisement in which it claims that Airtel is “Officially India’s fastest network”, claiming that this is false and misleading. Ookla has responded to these allegations by releasing a statement. Airtel had claimed that the source for its claim of being the fastest network is based on data provided by Ookla which is based on extensive testing across millions of devices. Ookla today responded to these allegations and has also released a statement to the media. In recent days, Indian telecommunications company Reliance Jio has made public statements regarding Ookla, primarily that Ookla has knowingly and blatantly released misleading results about the Indian mobile market. 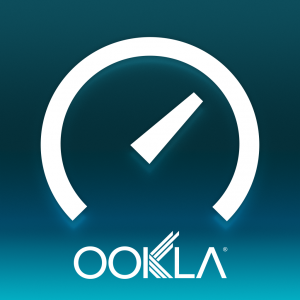 Data accuracy and neutrality is of the utmost importance to Ookla and the company goes to great lengths to ensure that the information collected on any Speedtest internet test is verifiably correct. Ookla fully stands behind the accuracy and reliability of the methodology used to designate Airtel as ‘India’s Fastest Mobile Network’. Much of the commentary has focused on dual SIM devices. The carrier displayed in the Speedtest Android application is based on the “Active Carrier” value returned by the device. Due to limitations of the Android platform, the “Active Carrier” does not always indicate the actual data provider in devices with multiple SIMs. In these situations, Ookla applies additional data sources and mechanisms during post- processing to help determine the actual data carrier being tested. For example, Ookla matches the connection IP address recorded during the test to known carrier IP blocks. This enables Ookla to determine the actual data carrier with a high degree of confidence. Airtel’s margin of victory increased when the complete analysis was performed.